1 Bdrm 1st flr Flat. Hall. Living rm. Kitch. Bdrm. Bathrm (CT band - A). Parking. 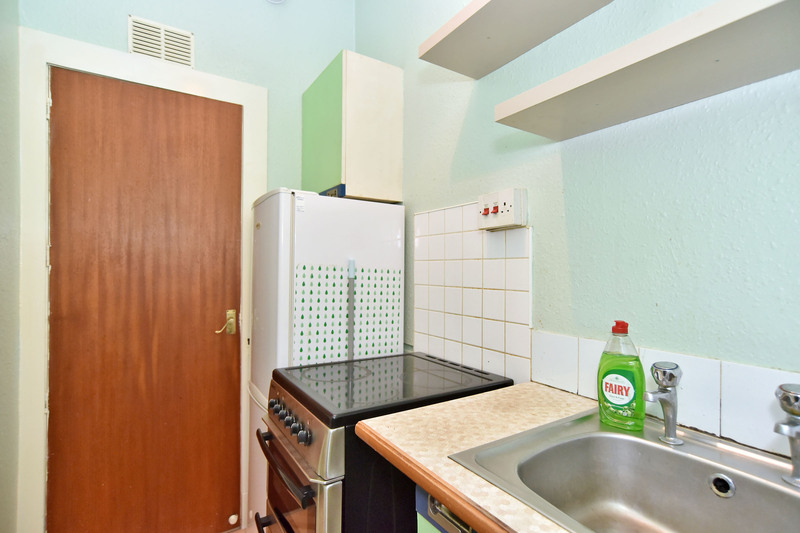 Fixed price £60,000 Entry by arr. Viewing contact solicitors. (EPC band - E). 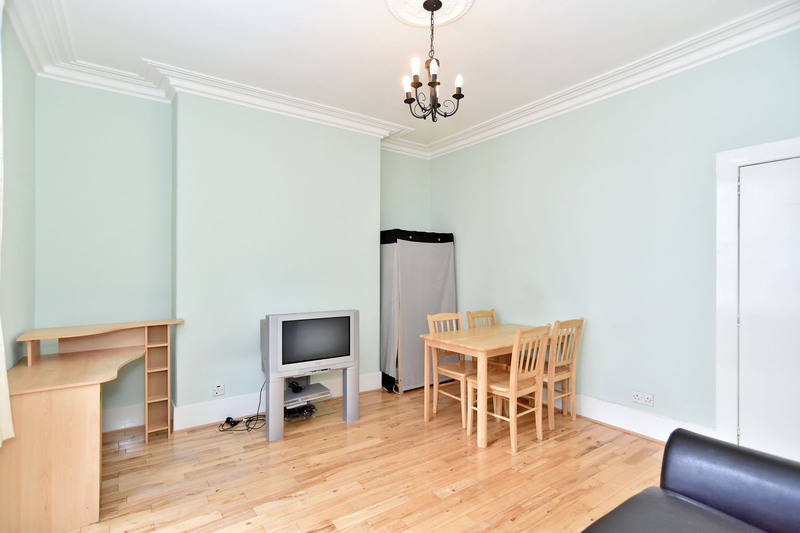 We are pleased to offer for sale this first floor flat right which forms part of a traditional tenement building with its common areas protected by a security entry system. The accommodation comprises a naturally light and airy living room; kitchen; bedroom; bathroom with an overbath shower. Outside there is shared garden to the rear of the building. There are electric heaters in most rooms and the windows are double glazed. The flat will no doubt appeal to first time buyers and buy-to-let investors and therefore early viewing is genuinely recommended. 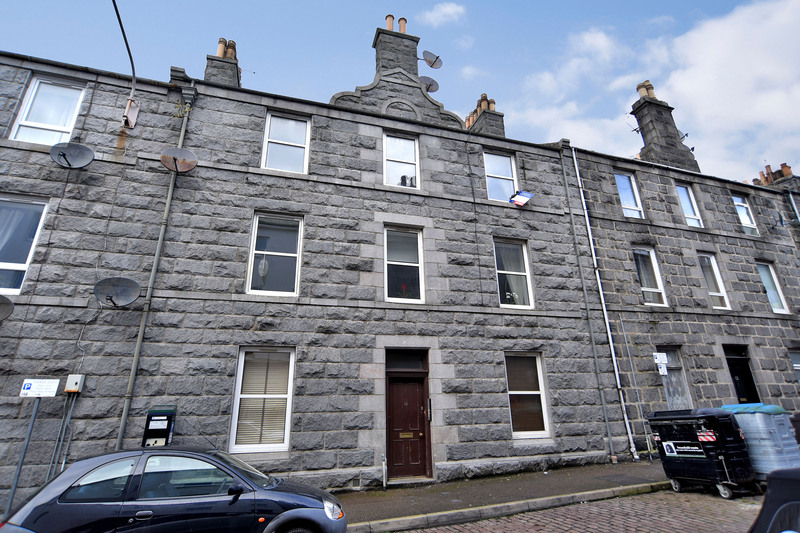 location: Fraser Street is located just off George Street, which is in an area well served by local shops and public transport facilities and most parts of Aberdeen City are readily accessible by a variety of arterial routes. Given the property's location a wide variety of pubs, clubs, shops restaurants and leisure facilities and also the main shopping centers including the Bon Accord Centre, St Nicholas Centre and Union Square are all within relatively easy walking distance. directions: Travelling north along George Street, continue through the Hutcheon Street traffic lights. Take the second exit on the left into Fraser Street and Number 14 is situated on the right hand side of the road. entrance: The well maintained entrance and staircase to the upper floor is accessed via a security entry system. hall: Exterior door leads to the hall; wall mounted cupboard housing the electric meters; wall mounted security entry handset; pendant light fitting; wood flooring. 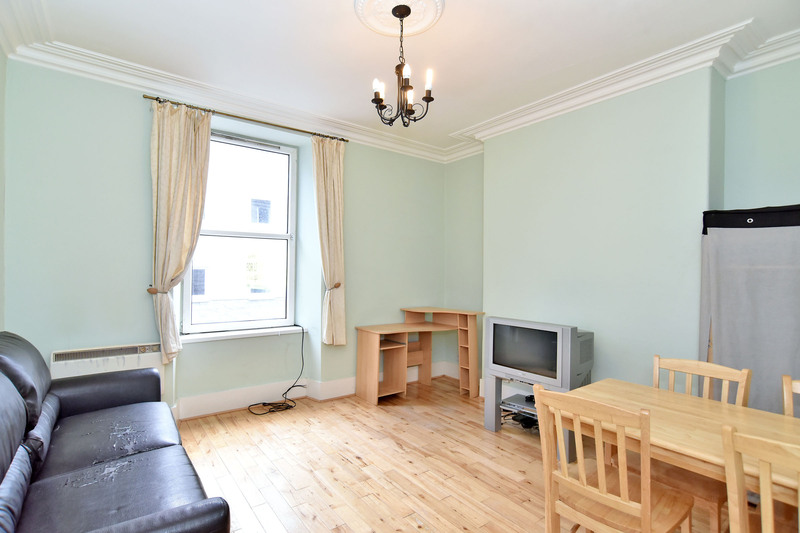 living room: 3.83mx3.78m Generously proportioned living room with a large window to the front of the building; ceiling cornice; ceiling rose; central light fitting; electric wall heater; wood flooring. 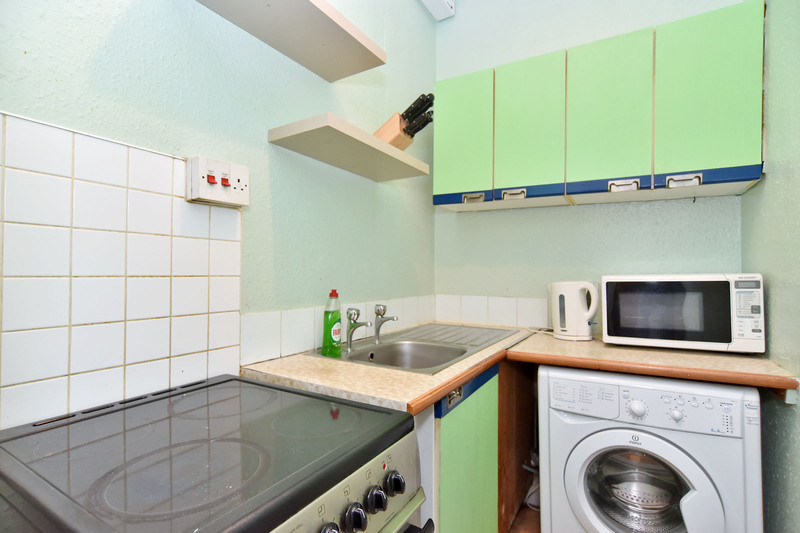 kitchen: 2.51mx1.34m Fitted with base and wall mounted units linked by work surfaces; stainless steel sink and drainer; washing machine; cooker; fridge/freezer; extractor fan; wall shelves; pendant light fitting; vinyl flooring. 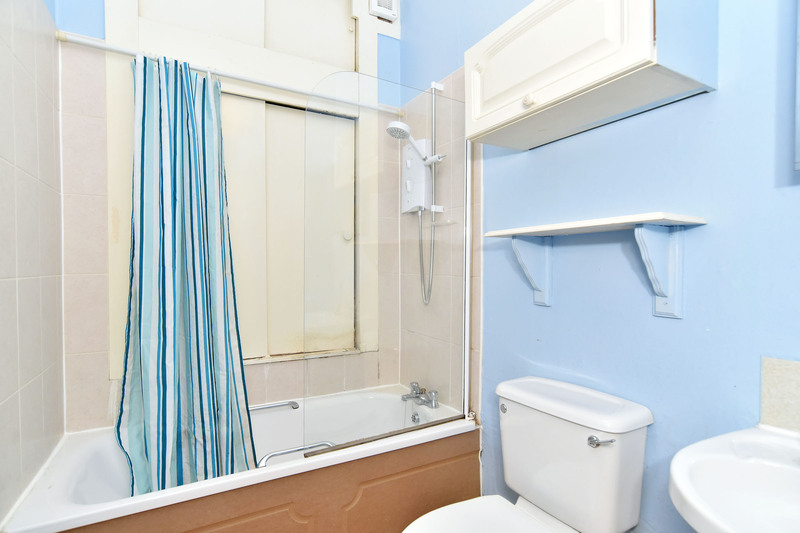 bathroom: Fitted with a white three piece suite complete with an overbath electric shower and a shower curtain; built in cupboard housing the hot water tank with the cold tank above; pendant light fitting; laminate flooring. 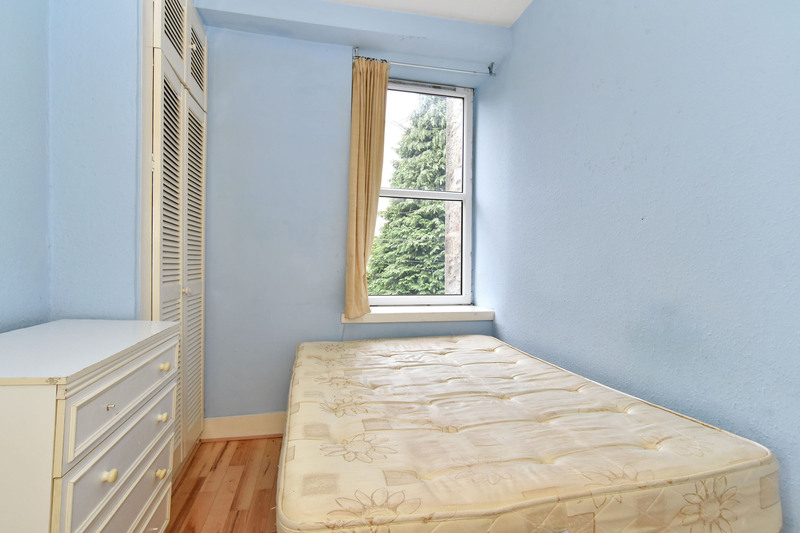 bedroom: 3.92mx2.32m Bright bedroom with a large window to the rear of the building; built in wardrobe; shelved recess; pendant light fitting; panel heater; wood flooring. 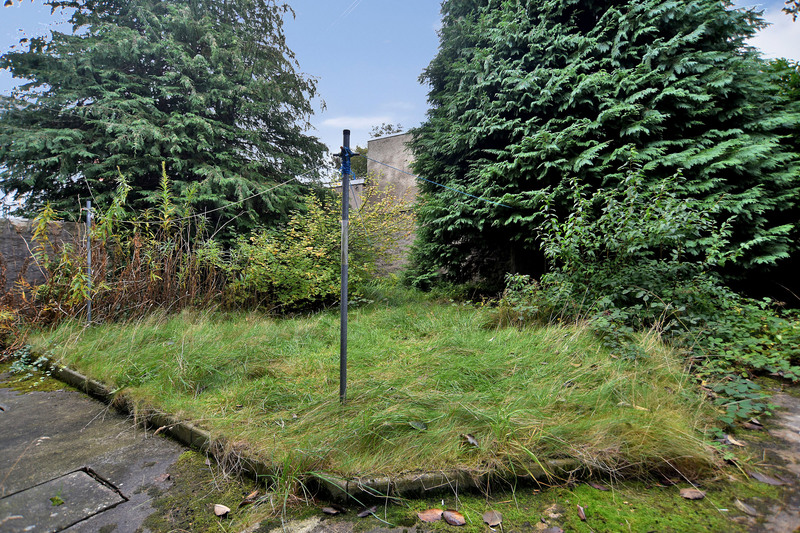 outside: The shared garden is located to the rear of the property. Note: All furniture in the property can be removed if necessary.